Which are the Best Islands to Visit in Galapagos? Looking to discover and explore the Galapagos, but having trouble figuring out which islands to visit in particular? First things first: the Galapagos archipelago is pretty big, consisting of 7,880 square kilometers (3,093 square miles) of land spread out over 45,000 square kilometers (17,000 square miles) of the Pacific ocean. In total, the archipelago is made up of 21 islands, 14 islands of which are visitable. It makes perfect sense that one might find it daunting at first to have so much land to cover, but we are here to help to narrow down your choices. The Galapagos Islands and, consequently, Galapagos itineraries, are generally divided by region (Northern, Southern, Western, and Eastern Galapagos, depending on your vessel). 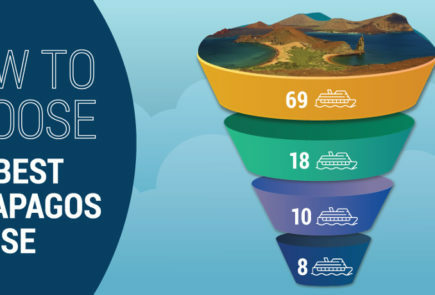 Each region and itinerary is arranged into a specific number of days/nights (none which falls under the recommended minimum number of 5 days for properly experiencing the Galapagos). The only recurring island you’ll find on each itinerary is the island of Santa Cruz – home to the largest population of inhabitants (known as galapagueños) in the archipelago. Each itinerary offers its own distinct set of beautiful islands and National Park visitor spots. Take a look at the spectacular highlights offered by each Galapagos Island, and choose your itinerary according to your interests and favorite islands. *As consistently rated by our Galapagos Experts, Expedition Leaders, Guests, and Guides. Estimated Age: 4 million years old. Española is the oldest island still in existence. Consider this the Grand Central Station of wildlife in the Galapagos. Located in the southern region of the archipelago, Española is an immensely popular destination due to the sheer variety and number of creatures that it is home to. Atop its pretty flat and dry terrain, you’ll find the island teeming with a wide amount of iconic species. Fun Fact: Española was the first island observed by Charles Darwin during his epic voyage on board the HMS Beagle in 1835, although he never landed on it. Española Island is exclusive to our Eastern Galapagos itinerary (Santa Cruz II Galapagos Cruise), Southern Galapagos itinerary (Yacht Isabela II), and Eastern Galapagos itinerary (Yacht La Pinta). Estimated Age: Geologists estimate between 80,000 – 800,000 years old. Fernandina is geologically the youngest of all the Galapagos islands. This relatively fresh piece of Earth is a volcanic canvas of recent lava flows that have painted its terrain with abstract strokes and swirls of black, igneous rock. Sprinkled across this surreal landscape are clusters of semi-colorful lava cacti surrounded by what appear to be pieces of rock… with tails and feet. Step closer, and you’ll find that tens, maybe hundreds, of marine iguanas are present. Fernandina Island is exclusive to our Western Galapagos (Santa Cruz II Galapagos Cruise), Northern Galapagos (Yacht Isabela II), and Western Galapagos (Yacht La Pinta) itineraries. “A world a million miles away from our own.” Genovesa is one of the few islands in the northern region of the archipelago that can be visited, and not all boats in the Galapagos go here. The boats that do go (such as ours!) offer their guests an outstanding experience when it comes to the vast array of birds present as well as the otherworldly scenery at hand. Genovesa is the only sunken crater in the whole archipelago that ships can sail into and anchor in. Genovesa Island is exclusive to our: Northern Galapagos itinerary (for the Santa Cruz II Small Cruise Ship), Northern Galapagos itinerary (for the Yacht Isabela II), and Northern Galapagos itinerary (for the Yacht La Pinta). Small but packed with surprises! This is how North Seymour is best described. On this island, you’ll follow the trail through the nesting areas of frigatebirds (great and magnificent). Additionally, you’ll get a glimpse of the comings and goings of blue-footed boobies at one of the largest colonies you’ll get a chance to see during your trip. Everywhere you look, wildlife will be roaming around you. Talk about feeling the energy of the archipelago! North Seymour was formed by an underwater uplift, and not from volcanic activity. You can visit this island on our: Eastern Galapagos itinerary aboard the Santa Cruz II, Western Galapagos itinerary aboard Yacht La Pinta, Central Galapagos itinerary aboard Yacht Isabela II. Resting next to Santa Cruz like two discarded fangs of earth, North and South Plaza might be rather small islets but they still pack several treats. The northern half isn’t open to visitors, but the southern island offers a great little trail. You’ll arrive at the northern shore of South Plaza, which mainly consists of white rocks that have been polished by oily sea lions that have travelled up and down this portion of the island. The trail on South Plaza will take you through a majestic array of fauna (that includes a decent number of opuntia cacti) up towards the biggest highlight – the bachelor sea lion colony. South Plaza was formed by an uplift of the seafloor. You can visit this island on our: Eastern Galapagos itinerary aboard the Santa Cruz II, Eastern Galapagos itinerary aboard Yacht La Pinta, and Central Galapagos itinerary aboard Yacht Isabela II. Isabela Island is the biggest island in the whole archipelago and is home to one of the smallest towns in the Galapagos and one of the biggest craters in the whole world. Whether it’s this peculiar pattern of superlatives that adds to its enigmatic charm or the melancholic bit of history that emanates from the Wall of Tears, Isabela Island captivates visitors in ways that go beyond all things tangible. The island itself is the culmination of 6 shield volcanoes that have merged into one another, these are: Alcedo, Cerro Azul, Darwin, Ecuador, Sierra Negra and Wolf. Four of these still show signs of sporadic activity (Wolf, Cerro Azul, Alcedo and Sierra Negra). You can visit this island on our: Western Galapagos itinerary aboard the Santa Cruz II. Western Galapagos itinerary aboard Yacht La Pinta, and Southern Galapagos, Northern Galapagos itinerary aboard Yacht Isabela II. Contrasting, volcanic layers of age. Special point of interest for people interested in geology, volcanology or succession. Part of the island is very young (Sullivan Bay), part of it is very old. This former large shield volcano looks more like a mountain range complete with hills, valleys and plenty of parasitic cones. A rugged and well-eroded coastline made of tuff stone lies above a black strip of lava flow. Serving as an archaeological site of sorts, Santiago Island still has remnants of its recent past strewn about. The majority of these remnants were left behind by the former salt miners that inhabited the islands for a while (back in the 1960’s), up until their whole operation went bankrupt. 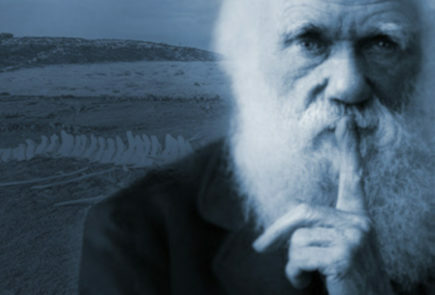 Charles Darwin spent most of his (brief) time in the archipelago at Buccaneer Cove. You can visit this island on our: Northern Galapagos itinerary aboard the Santa Cruz II, Northern Galapagos itinerary aboard Yacht La Pinta, and Central Galapagos itinerary aboard Yacht Isabela II. This island is famous for several reasons, one of which is the monumental and iconic tower of raw earth that pokes out into the sky known as “Pinnacle Rock.” Leading up to this pinnacle is a relatively long stretch of sandy beach that offers visitors some great water to snorkel in (as does the beach on the other side of the peninsula). Heading up the side of the hill that is Bartolome’s large volcanic cone, visitors can take a wooden staircase almost all the way to the top to get sweeping views of the gorgeous, surrounding scenery. This cute little cinder cone is home to a beautiful moon-shaped white sand beach, perfect for swimming and snorkelling after an invigorating hike along its 400 metre long trail. Enjoy some amazing views and get a first-hand understanding of how volcanic activity shaped this amazing archipelago. You can visit this island on our: Northern Galapagos itinerary aboard Yacht La Pinta. In search of something rather unique and special? Santa Fe Island is sure to please visitors with its colony of pale-coloured Santa Fe land iguanas. Guests hoping to take a load off can relax beside sea lions along the sandy shores of the turquoise bay. Studies suggest that Santa Fe Island might be the oldest Galapagos volcano, as there are sub-aerial rocks present that date back approximately 4 million years. You can visit this island on our: Western Galapagos itinerary aboard the Santa Cruz II, Western Galapagos itinerary aboard Yacht La Pinta, and Southern Galapagos itinerary aboard Yacht Isabela II. The easternmost island of the archipelago, also home to the administrative capital, holds some of the islands’ most iconic scenic highlights. Combine this with the possibility of enjoying local hospitality in the picturesque town of Puerto Baquerizo Moreno, and you’ve got quite a town to check out. San Cristobal is the site of the first human settlement in the whole archipelago and is the island where Charles Darwin first disembarked in 1835. You can visit this island on our: Eastern Galapagos itinerary aboard the Santa Cruz II, Eastern Galapagos itinerary aboard Yacht La Pinta, and Northern Galapagos itinerary aboard Yacht Isabela II. Like stepping off the boat and walking on the surface of Mars, Rabida’s strikingly colored beach serves as a refresher for the eyes. Rabida is made up of an interesting palate of colors that are split between turquoise waters, its maroon sandy beach, white trees, and lush green highlands. You can visit this island on our: Northern Galapagos itinerary aboard the Santa Cruz II, Western Galapagos itinerary aboard Yacht La Pinta, and Northern Galapagos itinerary aboard Yacht Isabela II. Santa Cruz is the second largest island of the Galapagos archipelago and has all seven vegetation zones. In addition to this, Santa Cruz is home to the largest human population throughout archipelago and, consequently, has the biggest town. From restaurants to bars all the way to banks and souvenir shops, Puerto Ayora in Santa Cruz is the closest thing you’ll get to a lively piece of civilization this far away from the mainland. You can visit this island on our: Eastern Galapagos, Western Galapagos and Northern Galapagos itineraries aboard Santa Cruz II. Eastern Galapagos, Western Galapagos and Northern Galapagos itineraries aboard Yacht La Pinta. Southern Galapagos, Northern Galapagos and Central Galapagos itineraries aboard Yacht Isabela II. 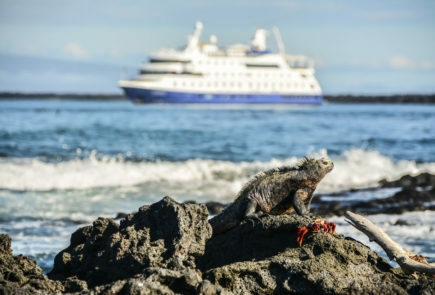 These and other Galapagos Itineraries can be enjoyed through these wonderful packages!